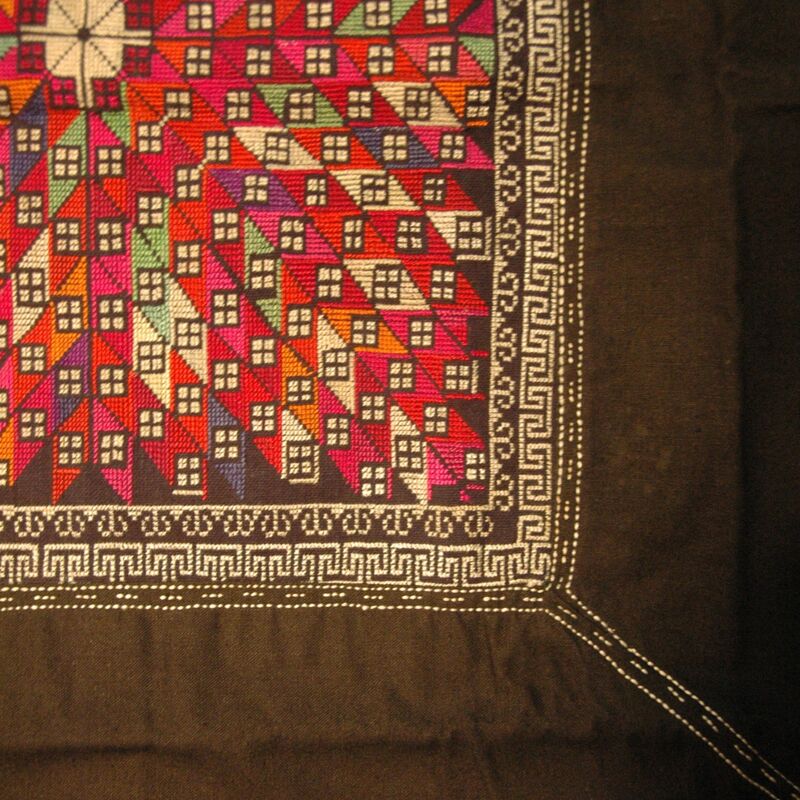 This cushion cover is made with the “seat” portion of a baby carrier used by the Miao tribe. Baby carrier has been a both a functional and symbolical item in China; it enables mothers to go to the fields while keeping the baby by their side, traditionally mothers will sew the carrier by hand, the embroidery on the carrier embedded symbols of blessing extending their love for the child. With the modernisation of China, hand stitch baby carrier can only be found among the minority tribes.